You are relaxed and like to celebrate in a stress-free, fun, laid back sort of way. You are obsessed with delicious food and you love mixing new culinary dishes with down home favorites. You have been known to dabble with new cooking recipes, but you are also just as happy to enjoy finger foods and appetizers over a lavish sit down mean. Your idea of a good party is a large amount of people sharing a delicious meal, a cocktail, mingling and laughing all in a laid back environment where people don’t have to be dressed up to have a good time. Your perfect birthday menu includes succulent meats, hand crafted side dishes, easy to eat finger foods and desserts that remind you of your childhood. Three words: Stress-free, exciting, delicious. 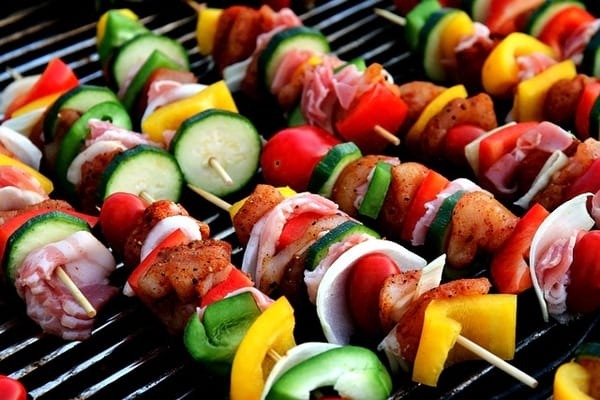 A backyard BBQ combines all of the elements that you love about parties: plates of delicious part food, a hassle free party environment, and multiple ways to customize it to fit your exact wants and needs. There is no need to travel to a fancy venue, no need to get dressed up, and no need to leave the comfort of your own home. The party, the guests, the food and the fun all come right to your home! You might want to consider a fun dress code like cowboy themed or country chic. The best part of a backyard BBQ themed birthday party is that it can be as authentic or laid back as you want it to be. Your house. Your birthday. Your rules! With the help of the right professionals, setting up a backyard BBQ birthday bash can be the best birthday decision you ever make. This is your day, shouldn’t you celebrate it in a way that reflexes your relaxed, fun personality?